I’m named after both grandmothers, Mary Elois Jackson and Virginia Robinette “Robby” Harrison. Growing up, Robby always introduced me as “Mary Robinette” because she was so proud that I was named after her. Everyone on Dad’s side of the family called me that. Hi. Did I mention that we’re Southern? I loved it. I loved being Mary Robinette. It’s a beautiful name, but more than that, it ties me to both grandmothers and Robinette, in particular, gives me a link to my heritage. Robby was named after her father, George Robinette Walker, who was named after the minister who married his parents. There’s this family story embedded in my name. Double-barrelled first names are a very Southern thing to do. We also had Edie Ruth and Martha Carol. To me, these names seemed normal. I would attempt to introduce myself as Mary Robinette outside the family and gave up sometime in college because everyone heard it as a first and last name. It was tiring to have my first interaction with people be an exercise in correcting them on my name. Mind you, this is with two names that are really easy for Anglophone speakers. My grandmother’s generation has passed. The number of people who naturally call me Mary Robinette is dwindling. I miss my grandmother. I miss my name. There is also a practical side to this. People attempt to attach Robinette to my surname, which is incorrect. Just to be super-super clear, Robinette is not my maiden name. The problem with this is two-fold. The first is that it shelves my books in the wrong part of the store. It puts my reservations in the wrong place in a registry. It makes my airline tickets impossible to use <–Yes. This has happened. The second problem is that the assumption that Robinette is my maiden name is entirely gendered. Kim Stanley Robinson? Orson Scott Card? Robert Jackson Bennett? All of those middle names are also surnames and none of them gets tossed into the surname field. There are people who have the opposite problem, which is that they have a double-barrelled surname. Ask Patrick Nielsen Hayden what having two unhyphenated last names is like. I’m like… it’s my name. Maybe avoid making assumptions about names. When in doubt, ask the person and for God’s sake, don’t correct them. Earlier this year, during a conversation about pronouns, I suddenly realized that I could just tell people that I prefer Mary Robinette. It’s like curb cuts for names. A curb cut in a sidewalk is there to make a sidewalk easier for someone who is in a mobility device like a wheelchair or a scooter. It’s not there for me. But it makes my life so much easier when I have a rolling suitcase. The discussion about pronouns isn’t there for me, but it makes it so much easier for me to know how to correct people on my name. And in turn, asking people to pay attention to my Anglophone-friendly double-barrelled name makes conversational space for people whose names have been shoved to the margins for their entire lives. For people who now need to reprogram their brains about what to call me, you don’t have to apologize to me every time you slip. I understand, really. I’m having to reprogram myself after decades of cutting half of my name off. Just correct and keep going. Being married to a Southerner (actually a Texan – not exactly the same thing), I totally get the two name thing. My wife’s parents constantly called her by both names. Though using just the first name was also acceptable (and is what I mostly use). Some of her good friends use both names for fun. Then there’s my Dad (from the Midwest) who only went by his middle name. But signed documents using his first initial and middle name. And my Texan father-in-law, who went only by his first initial, except when people used the initials of both his first and middle names (also a Southern thing) as a shortened form of the two name thing, which also worked. Names are fun. Even watching someone try to work out how to pronounce my not-really-that-complicated last name. BTW, I’m loving the Lady Astronaut series. Thanks for the connection to pronouns, too. Relatedly, calling folks by their chosen vs. birth names has been a stumbling block in my family. Just in time for holiday gatherings, it’s great to have a new connection and example to share when it’s time to explain my perspective. I feel like my aunt would feel your pain. She was named Maryjean; no hyphen, no space to make it clear that it is not First + Middle, her full name is Maryjean (though now she will write it with a space). This happens with Hebrew/Yiddish names sometimes too. I know plenty of people who have a first and middle name that are used all the time (e.g. Sarah Rivka or similar). Then you have my little brother and sister, both of whom have three Hebrew names each. In neither case did we routinely use more than their first Hebrew name. Except their preschool teacher, who used the first two out of three. We found this a little odd. My dad (from Kentucky) had a cool name thing too. His father was Marcus Douglas Phelps, but he hated the name Marcus, so he went by “M. D.” They named my dad after him, but dispensed with the names entirely. His legal name was M. D. Phelps Jr. Of course, he became a doctor, so he became M. D. Phelps Jr., M. D.
I have many two-named cousins, “John Carl,” “Paul Allen,” “Jacob Christian,” etc. That kind of name -> initial pedigree is how my college classmate ended up being named Z Smith (no period after the letter; it’s not an abbreviation). I heard one of the other Writing Excuses hosts say “Mary Robinette” the other day. I’m glad to hear this explanation. (I’m a few episodes behind, though, so if I didn’t find this through your twitter I probably would have picked up on the facts eventually.) I’m also glad for Writing Excuses because otherwise I would still be pronouncing your surname COWal (I know another Kowal who pronounces it almost like the hooded garment word, but not quite, in my defense). Arthur Conan Doyle’s full name was Arthur Ignatius Conan Doyle. He tried to move Conan to be part of his last name, and signed his name A. Conan Doyle, but (perhaps because he wasn’t explicit enough, or because he didn’t do it legally) it didn’t ‘take’ and I think his books will forever be shelved under Doyle. I have an Uncle J (not Jay). He has only ever been J to me, it’s how he signs Christmas and birthday cards. I didn’t realize until I was an adult that he probably has a name that is more than one letter. But it’s not really that important. J he prefers and so J he will be, and even if I discover at his funeral that his name was Jiminy Sprocket, he’ll always be J.
I’m the first girl in like 5 generations, on my mom’s side, to not be named either Eleanor or Elizabeth. And while I like my name just fine (and have no preference between Becca or Rebecca as long as it’s not Becky), there’s a little part of me that’s sad that I have this shiny brand new name, and not a name from either of my grandmothers. As someone who grew up far away from extended family, though, I do adore being introduced by my relationship to them, on the rare occasions that it happens. “This is my niece,” “this is my granddaughter.” Damn straight. This is my context, these are the people I came from, this is one of the pieces of information about me that makes me make sense. I know there’s a lot of nieces and uncles in the world, but I am this man’s niece, and he is my uncle, and nobody else has that. When I joined Writing Excuses, we had the conversation about whether I wanted to go with “Mary” or “Mary Robinette.” I opted for the former, because I thought it flowed better with the guys’ names. I regret that now, and next season have switched back to Mary Robinette. And every time they slip and say Margie, I again politely repeat Marjorie. So here is the story about how 5 year old me got confused over my father’s name. My dad shared his birthday with his father. As such he was named for his father. Grandpa was John Frank and dad was John David. Growing up his entiire family called him David. Makes sense right? Fast forward to the early 70’s and dad is a young Sargent in the Air Force and meets my mom. He introduces himself as John so that is what she always called him. Dad meets her family and finds that she has a brother named John and another brother named David. And on a slight but related tangent my Uncle Lloyd…middle name is John and my great grandpa on that side…John. It’s a popular name in the family. So my mom’s family called him John David to avoid confusion with her brothers. Now imagine yourself as a 5 year old hearing your family call your dad by a multitude of names. It’s confusing. But to continue the story my mom’s sister married a man named John. So my Uncle David’s kids have 3 Uncle Johns. Family reunions are fun for them. 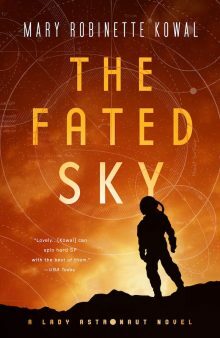 @Mary Robinette: Congratulations on reclaiming your name – and good luck! I get perhaps-unreasonably annoyed about people having their names mangled or having to put up with incorrect naming. My Mom has had issues throughout her life with people mispronouncing her name, even after being corrected or hearing someone else say it right. To the point where she gave up, when moving to the retirement community where she lives now – she just calls herself by (incorrect but least offensive mispronunciation). And it’s not like her name is tough to pronounce, sheesh, but people get confused by the spelling and get creative, bleah. So I get really irritated (including at myself, when I mess up) whenever I hear or see name mistakes. Thank you for sharing. I never knew and never felt comfortable asking. I will do my best to get it right going forward. We have *stories* of my mom vs the elementary teachers regarding my brother, John Michael. And the time she told him his middle name was Fred and he believed her for years. And how both he and my dad (currently in the hospital, and we are correcting staff that it’s not John, it’s Bill, no seriously, don’t screw that up in front of Mom, it has been A Very Rough Week) told the announcers at graduation, and then they said it right, putting the portentous spaces in the right places. And apparently a recent argument over a notary stamp? Anyway. This is hard and I’m glad you are making your name be what it is and not what’s easiest for others. Go you. While not Southern, the first+middle name thing was common among older generations in Nova Scotia (where my dad and grandparents are from.) I hadn’t really thought about it in a long time, but I was always Katie Ann growing up. I didn’t have the same problems you have with my middle name, which doesn’t read as a last name, but I did go from being Katie Ann as a kid to just Katie as I got older, and I never really thought about about trying to go back. I had an aunt whose name was Mary Ellen Russell. She never married so that doesn’t apply. But she always went by Mary Ellen. As a kid I thought her name was Maryellen. I don’t know what she did but everybody called her Mary Ellen. And there may be some kind of southern connection if you go far enough back. But we have been Seattleites for several generations now. So I don’t know why the two names. The only idea I have is that she wanted to distinguish herself from all the other Mary Russell’s in the family. But the rest of them just went by Mary. Anyhow, I salute you for saluting your ancestors. So on my birthday you were talking about names. I have a great name story. Growing up my Mom always joked I was named after George Washington. My name is Peter I didn’t get the joke. I was named after my Dad’s best friend Pete Evans. While I was in college my mom finally explained that Pete Evans was named George Washington Evans and hated his name so much that he called himself Pete. His family gave up trying to call him George Washington and called him GW or Dub for short. I had always thought Dub was his wife’s name. I had never met his family but always heard about them. I only met Pete a few times. So hello my name is Peter Gregg I was named after George Washington. My grandmothers generation always called me Pedro, no I don’t know why.